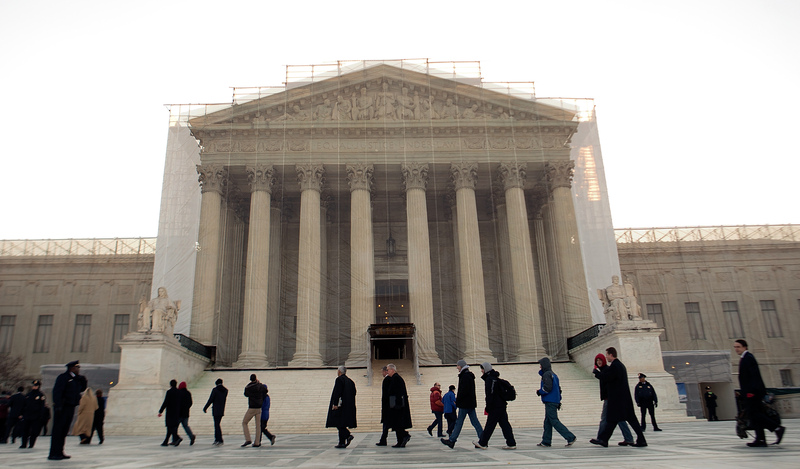 Supreme Court to Hear Legislative Prayer Case Greece v. Galloway. Who Should Win? On Wednesday, the Supreme Court is set to hear a case on the constitutionality of Christian prayers before legislative meetings. The case, Greece v. Galloway , concerns a suburb of Rochester, New York in which town legislative sessions began, for many years, with prayers — exclusively by Christian clergy members. Two of the town’s residents — one of whom is an atheist — challenged the practice, bringing the latest showdown over the Constitution’s complicated establishment clause to the Supreme Court. Some say the ruling for Greece v. Galloway is already predetermined by a case decided decades ago, when the court ruled in Marsh v. Chambers that Nebraska didn’t violate the establishment clause by employing a Presbyterian minister for its own legislature. In that case, the court referred back to the long history of the chaplain’s role in the state legislature. But in Greece, the tradition only started in 1999; before that, town meetings opened with a moment of silence. Moreover, the town argues that its exclusively Christian speakers for the first eight years of the tradition were just a coincidence — they didn’t try to exclude people of other faiths, those people just never volunteered. There are two differences from the Nebraska case: first, the age of the practice (this one doesn’t date back to when America was, largely, a Christian nation), and second, the town’s view ­— its actions show that it sees something wrong with excluding non-Christians from the list of speakers. Now, Christian prayers are not always exclusionary. In college, I did an ethnographic study of a prayer service in a church. To my surprise, not only was prayer in church attended by people of all faiths and none — Jews, atheists, Jains — but none of them said they found the Lord’s Prayer, one of the most distinctly Christian parts of the service, disturbing. Instead, most people I spoke to found the repetition of the familiar verses soothing, and the non-Christians in attendance felt that learning the prayer made them more a part of the community. In the right environment, with the right mindset, and with the right, inclusive attitude, nods to “Our Father who art in heaven” can just be acknowledgments of a Christian heritage, not an implication that everyone in the room belongs to the religion — ideally, that's what the court was counting on in the Marsh case. Of course, this was all happening at my “Godless” Harvard campus, where religious pluralism was assumed, and even nominally Christian prayers could be taken with the most inclusive intentions. And, though the Lord’s Prayer is a constant, people of different faiths were regularly invited to speak at the service in that church. Not so in Greece, NY. The other huge difference, of course, is that people who are uncomfortable with certain prayers are free to avoid a campus service altogether if they wish, in a way they can't avoid — and shouldn't have to avoid — a town legislative meeting. Moreover, Eric Segall suggests in the Daily Beast that Greece’s exclusion was more sinister, and that their pattern of behavior shows they knew they were doing something wrong. Subsequent to the filing of the lawsuit, several non-Christian prayer givers were allowed to begin the sessions, but after the record in the trial court was closed, the town went back to having exclusively Christian prayers. Well, that’s no good. Put on a show for the trial record and then back to business as usual? Of course, the Supreme Court has to consider the matters of law at hand. It will consider whether the prayer still violated the establishment clause of the U.S. constitution, even if the town didn't intend to discriminate against non-Christians. It doesn't look promising for Jews or atheists (the self-identifications of the disgruntled residents in this case): the court’s swing vote, Justice Anthony Kennedy, dissented in an earlier ruling that found nativity displays unconstitutional. More likely than not, he’ll be the deciding vote in this case.